Jo Beverley, one of romance fiction's most heralded authors, pens a steamy tale that picks up shortly after the events in Winter Fire. 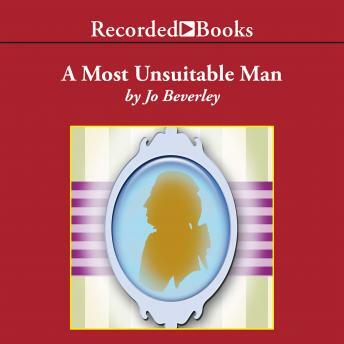 In A Most Unsuitable Man, Damaris Myddleton has plenty of money-but she is looking for a husband with a title who will lead her into the welcoming arms of the aristocracy. Despite her quest for respectability, she keeps noticing her attraction to Mr. Octavius Fitzroger, a penniless man with no prospects who agrees to help Damaris find just the right spouse.